Highlight Films have always adapted and implemented new technological innovations. We pioneered the introduction of HD to Israel in 2007, production of 3D-HD video (2009), and IMAX production (2012). But we’re not stopping there. 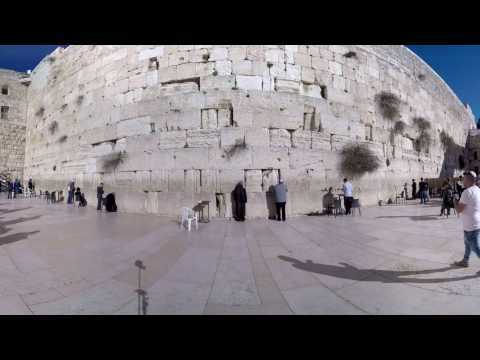 We are proud of our experience in producing VR 360 shoots in Israel. As a result, in the last years we gained a lot of experience in providing VR360 video production services in Israel. Between 2015-2018, we have been researching and experimenting with a variety of 360 video cameras. We work with all possible rigs, formats and software solutions for 360 video production and virtual reality (VR). After several commercial productions and having improved our workflow, we are able to take on any 360 production. Watch our 360 taster reels of Tel Aviv and Jerusalem on YouTube. Until 2017, the only 360 professional sets available in Israel are Go Pro rigs for 6, 7 and 10 cameras. With the introduction of Nokia Ozo camera in 2018, we integrated it with our production experience in producing medical videos. Our goal for 2019 is to continue pioneering the field of 360 medical videos production in Israel. Following this goal, we are now in pre-production of a series of medical video using this technology. The opportunities are endless: we wish to integrate 360 video in the production of elaborate instruction videos; And in addition, to further develop virtual tourism by 360 videos. We are waiting for the new 360 cam models to become available over the course of the next months. Consequently, once they are available, we will test and adopt them for this exciting new medium. Medical – filming of surgeries and medical procedures akin. Tourism – we are proud to lead virtual tourism in Israel, with several interesting projects in production. 360 documentary productions in Israel and the West Bank. Below are links to various 360 videos and reviews:360MEA is the pioneer in 360 Virtual Reality in the Middle East, click to viewJW Developer shows 360 being used in gaming.Article: BBC Click’s innovative storytelling. Introduction to 360-degree video and virtual reality by creator academy.